Friends ask you, who am I? No, not define yourself on your names, profession, relationship etc these are all default answer. But think about this, people identifies you through your character. You will remain in the minds of people through your actions. Yeah! It is right, but it is not YOU. For example imagine you are joined for new job, you went in time and you are regular for first month. Absorbing you, your colleague praises you that you are punctual and disciple. Then, what happens friends? Praised words repeatedly enter to your mind day and night. Your subconscious mind accepts it as your character. It may continue throughout your career. Just for example I used disciple and punctual. You may replace it by strong, rude, honest, strict etc praised by your friends, family and surroundings. Perfectly, you show to the world, what they think about you. But you are forgetting to listen one person, that’s you. Be always what you think. Your thinking is you. You are in the boundary created by the people. Remove that boundaries and define yourself. 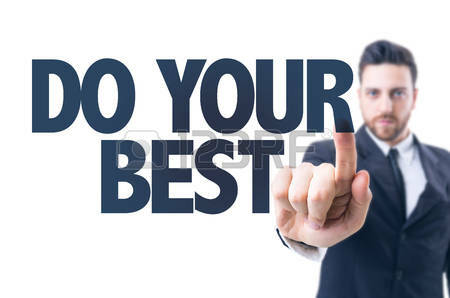 When you do this, trust me friends you can see your best version than ever. Because frankly telling, you don’t have any definition for you. You are continues in this world. Your actions no longer remains as old, it should be updated according to time. Don’t pin yourself to some words because you are too vast than those words. Just remember those days’ friends, when you are a baby. Your mind is full of happiness, no tension, no worries, no ego, no fear and you loved by everyone. Child’s fear is vanished by secure hug of mother. I feel secure in this world with my mother isn’t a wonderful feeling friends? Whoever superhero we may see in film but our best hero remains our dad. Our best friends are our pets. Just give a thread to baby, he plays with it and he loves it. For a second that thread becomes everything to the baby. Babies discover happiness in a small thing. A child loves a life very much. There is no restriction to thinking and our dreams are big. Every child wants to be in a palace and always think like a king. Most imagines their future with lot of big things. We gave importance to feeling not to materials, when we are in childhood. Our mind was broad and our thinking was above the sky. Then, why our mind becomes as narrow as we grow up? Whether, knowing something from this world has become sin to us. Yeah, sometimes good is better than best. I know this; I know that, I know everything has made us narrow minded? Always remember the kite friends, as kite goes up it become small so we have to cultivate these things. Keep innocence with us. There is a baby within us. That baby want to laugh with people, that baby want to play with people and that baby want to love everyone. So, why are you holding that baby tight? Release that baby. A good businessman is like a good chess player. He always thinks 10 moves forward to take his decision. He never afraid to invest more. But by his thinking towards future he will almost succeed in everything. Most important thing for any businessman is his connectivity with the people. He will always talk in an attractive way with the people. He should always be honest with the people. This forms a trust in between them and this strengthens their relationship. A wise businessman realizes people that he is not selling any product but he is helping people. He will put his energy, time and love to his work. He always updating with new technology to reach people. In chess some pawns are sacrificed to win the game. Same way initially by offering products free and conquering the whole market is becomes a good strategy in business. Don’t think that your way is best in business, it will throw you down. For that instance of time it looks like it is best but as the time goes update with new. Change according to the change is also a good strategy in business. Success depends on which seed you put in the ground. For example one chooses tomato and the other mango. Tomato gives yield first and mangoes take years to give. This applies to business also but don’t get frustrated by comparing yourself to other. We are not only born as helper to people, but we are also born as competitors to this world. This is what the truth is. Survival of fittest will remain as winner in the business. Don’t change your goals; change your way to achieve that goal. Results should be delayed friends but not stopped. Never give up. Be always hungry for victory and keep hope, because your hope is your life. Friends, ask yourself who you are? Many people think of their names and this is me. Some may think their positions, jobs and some think about their relationship like mother, father etc. But these are all default; Do you think these are your identification? No, friends. People remember you for your character and behavior. We can simply say it as attitude. Your attitude is your identity. Your attitude is your life and your are known for your attitude only. You may be struck with some critical situations in your life. In that situation, how you manage? How you fight? How you solve it? This makes your character still strong. Many people are just put their love, pain, dreams and everything on some plan (it may be business, sports, career etc). They work hard for that; if it fails then they become frustrated and depressed. They will struck in life, thinking that their plan is everything for them. They made their plan to occupy the center of their life. But there are some people in this world they just don’t care. Here I introduce you that kind of personality, meet her. She was hospitalized with serious leg and pelvic injures and lost her leg, after doctors amputated it to save her life. She was in the hospital with her one leg that to with rod. Just think friends she was national level foot ball and volley ball player. But, what she can do now with her one leg? Her dreams are shattered into pieces. She was completely broken down. In this situation life gives us only two options. Whether you give up or stand up. Here is some interesting thing happened, Arunima decided to climb Mount Everest the highest peak in the world. Her family and friends refused this and many people laughed at her. But they are all able to see the physical strength of arunima, not her mental strength. Her soul is wake up for do something, to show the world what she is? One who lost everything and tries to fight back there is no such power in this world can defeat them. Same thing happens with Arunima also. In 2013, she became the world first female amputee climb to climb Mount Everest. She hunted her dream, what she always mad of. So, what is a fear friend? Fear is just a mental imagination of us only and it is not connected to reality. How you think matters.” Have a goal in life, keep your mind mad about it, keep doing hard work consistently for it and finally the nature also supports you to reach that goal”. Arunima’s story is inspiration for all of us to overcome fear and focus on our goals. Always trust in yourself, always believe that there is a guru within you, always think positive and always think beyond the boundaries. This is not strange friends, what! Spirituality in science? How it is possible? A friend, Science is nothing but to know about new things. Here are two different aspects science and technology. Science gives us knowledge and technology uses this knowledge and practically achieves it. It may be anything for example, Science gives knowledge about nano-particles and also the planets, but technology proves this through microscope and telescope. Through science we achieved so many things in this world. But let me know, how a successful scientist thinks. Scientist imagines something in his mind then he works hard to make that imagination to reality, for the benefit of the people. The truth is scientist want give unimaginable things to the world. Yeah, it is his duty, but the true meaning of duty is to helping people. Great works needs some time and consistency to achieve it. Somebody fails in it; by hard work scientist succeed in this. But the question is from where he got this energy? How he can do unimaginable things than other people can’t? Why he only got this mind set? The answer is purity in heart, willingness to achieve great things, sacrificing his whole life and main quality is he wants to give best thing to the world. This is nothing but the Spirituality. “Where there is trust, there is love; where there is love, there is peace; where there is peace, there is happiness; where there is happiness, and there is god”. This is the main principle of Spirituality. See god in every creature and in everything surrounded by you. 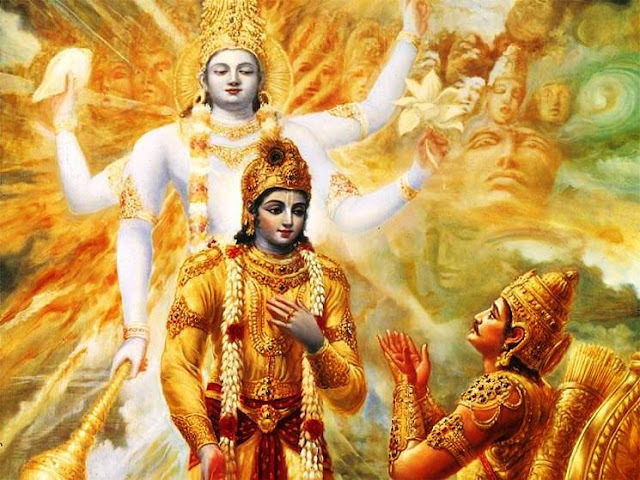 According to Bhagavathgeetha karma yoga says what you do, you will pay for it. It may good or bad. There is no power in this world can stop this. Do your job without expectation and leave rest to God. Most of scientists follow this. Spirituality avoids misuse of discoveries from people. Science is like foot ball in the ground; only spirituality can kick this ball to goal, in right direction. 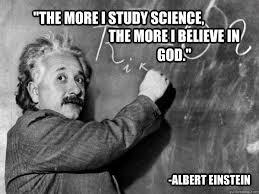 Even Albert Einstein said that “The more I study science, the more I believe in God”. So, spirituality and science is like the lines of a railway track. They never meet, they never cross. But they always go together. Spirituality is the base for science. With that positive thought I end my conversation with you. Friends, ask yourself a question “Do, you really suffer from lack of concentration every day?” The answer of 97% people in this world is “yes”. Again ask “Why, we fail to concentrate on our work?” Most people’s answer is their laziness, due to tension, pressure and list goes on. Do you really think these are the valid reasons? Let me give you some examples, reading novels involve no effort anyway. It is interesting and automatically holds your attention. Choose instead some book in which you are not interested. Take a solid book on economics, history, politics and read. So, here is the answer the concentration is strongly depends on individual interested work. Then, How to build interest? What is concentration? “Concentration is not giving attention towards our work, but it is forgetting all the things (Whole World) except our work”. Just think the difference between the human and the animal, the strong and the weak, the wise and the fool, the rich and the poor depends on how he gives attention to the things matters a lot. So, Concentration makes difference in us. Then, how to overcome this lack of concentration. · Everyone tells that meditation increases concentration. But most of the people do like this sitting straight, closing their eyes, concentrating for minutes on some subject Yeah it may be about the god, breathing or anything else. Meditation converts our multiple thinking into one and goes deeply into it. But we can do meditation in our daily life in every minute by focusing only on, what we are doing. · Most of the people think that meditation only related to mind. But heart is the main reason because, if heart loves to do it; you will do. If you follow your mind you get 5% of success, but if you follow your heart you get 95% of success. So, love your work first and do your work through mind to get 100% success in our life. · Try to achieve “Zero thinking”. This is the state of mind think nothing, there should not be any thought in your mind. This is very difficult; it is more powerful than meditation. This state of mind is only achieved by monks and saints. This will give happiness to our soul and energy to the body. · If you hold stone close to your eyes, it seems to you like the mountain but it is after all a stone. This is problem of our mind we look things very difficult rather than it is. First tell yourselves that “Your are strong, you have unlimited energy within you, bring that power outside” and do your work with this thought then see the magic. 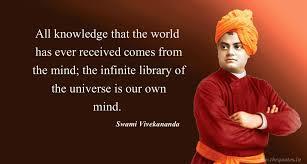 Swami Vivekananda said that “Everything is easy when you are busy, but nothing is easy when you are lazy”. Finally, Concentration is powerful energy within us, through which we can feel this world. Concentration reduces your time and increases our energy. This gives us to gain ultimate knowledge and truth of the universe.